A lovely Pinot Noir from Piedmont! 12 months aged in barriques, then continue on bottle. Fits a wide range of dishes. A lovely Pinot Noir from Piedmont! 12 months aged in barriques, then continue on bottle. Ruby red color with garnet-colored flare. 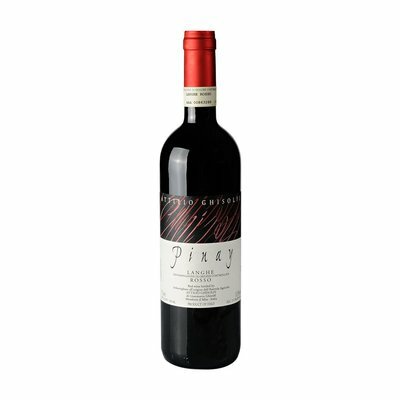 In the nose delicate fruit aromas, particularly with hints of cherries and sweet spices. The palate is warm and full with berries and small fruits. Sweet tannins, with an almost velvety feel on the finish. Becomes more complex with aging, and this 2009 is already beautiful to drink. May, depending on the court where he is paid by, reasonably be consumed fresh (16 ° C). The elegance and beautiful balance of the wine with a medium body, making it suitable for anyone looking for a tasty wine that easily with a wide variety of dishes is to mate.